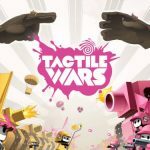 Tactile Wars is shaping up to be quite the big hit. 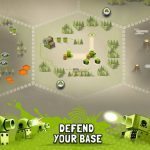 This iOS game from Ankama has been the subject of many a strategy guide, and in earlier Tactile Wars tips and tricks, we gave you a number of general tips, and also taught you the best ways to earn more coins and prisms in a hurry. 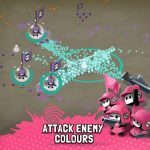 This game is essentially a new twist on the color war, with a strong nod to paintball and some definite MMO/strategy elements. You can improve your rank in this game by doing well on the battlefield, as well as earning medals. And if you want more and more upgrades, you’ll want to get cracking and earn more experience points. So with that being said, let’s teach you some ways you can earn additional medals and XP and move up in rank in this game. There’s not much behind it, really. 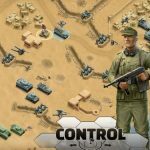 Choose the unit with the highest rank when choosing someone to attack the enemy. You’ll get higher ranks if you beat a highly-seeded opponent, but that stat’s going to go down if you lose the battle. Just keep on fighting if you want to move up in rank faster, and always go for the win. Combo hits are the best way in which you can earn new medals. Try this simple maneuver – have more than one leader simultaneously floating in the bubble, and tap on them rapidly so you can make short work of them. And we mean short, because the more you tap over a few seconds of time, the more medals you can receive. Tapping on the medals will make you acquire them and add to your score. Your battle grade will determine the number of XP you receive – losing earns you the least, while an “A” or “S” grade could get you a ton of XP just like that. Yes, this sounds like a carryover from our general tips and tricks, but we’re going to reiterate this on this strategy guide. Once you level up, upgrade all the new tech that you’ve unlocked between your last level up. And when it comes to defense, you want a base that’s chock full of turrets and other similar weapons. We suggest devoting half of the base to troopers, and the remaining half to turrets.